MTB designed by women for women! 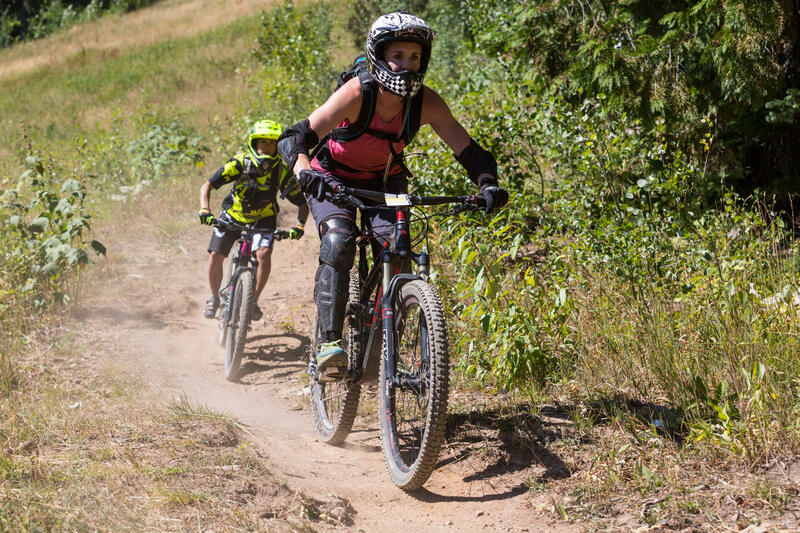 These camps are catered to various levels of riding ability and are led by qualified female instructors. 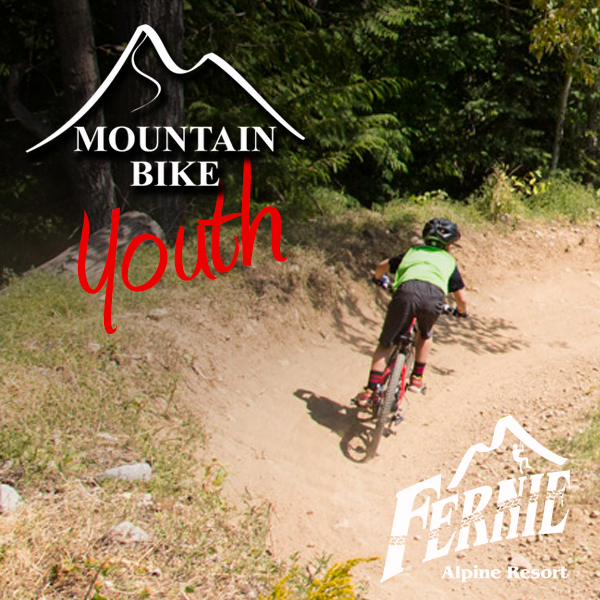 Camps include skill sessions, bike maintenance, lift tickets, instructional trail rides and lunch. Camps run from 10 a.m. to 4 p.m.
Where/when do I show up? Please arrive and check in at our Adventure Centre. The coach will be there at 9:45am to meet you. Waivers will need to be signed at the Adventure Centre and tickets are to be picked up to give to the coach. This can be done in advance or on the day (please arrive early to complete this). 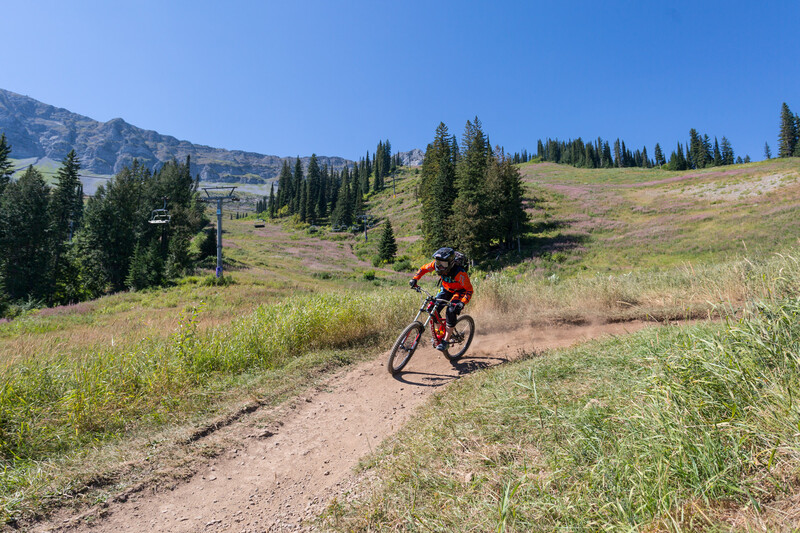 If you do not have your own bike or equipment, you will need to reserve downhill equipment in advance (preferably at time of booking to avoid disappointment). 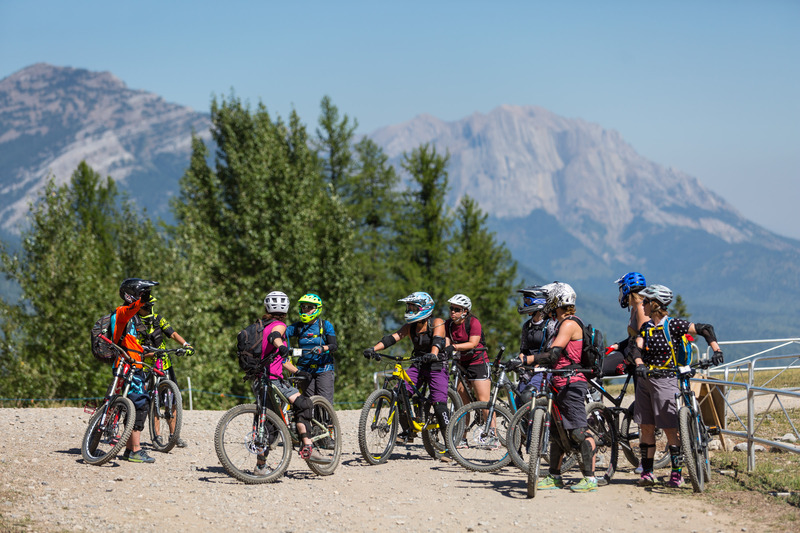 There is a 20% discount on rentals for those booked into our Women’s Mountain Bike Camp. How long is the lesson? What is included in the price? The lesson is 5 hours of instruction and 1 hour lunch. Lesson start time is 10:00 AM and lessons will finish up at 4:00 PM on both days. The camp includes your full day lesson(s), full day lift ticket(s), and a packed lunch from Legends Mountain Eatery. You will be emailed a selection form for your lunch order near the camp start date. What skills will be learned? 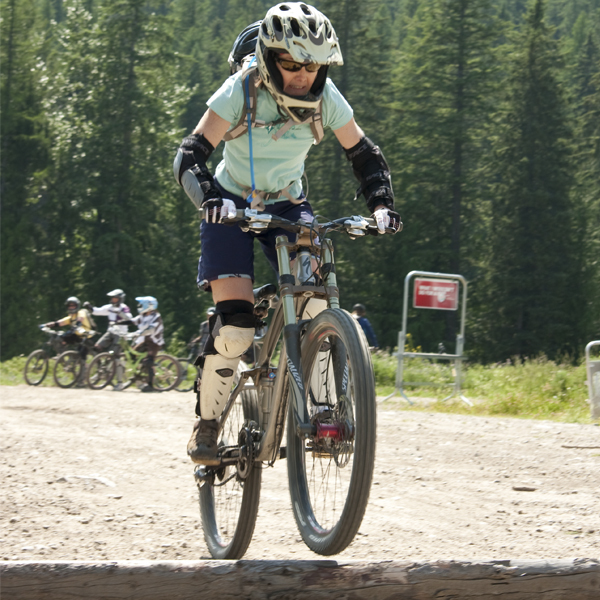 Some of the skills that will be covered in the camps: Neutral position, bike-body separation, braking, descending, climbing – seated, crouched and standing, cornering, switchbacks – on level terrain, descending terrain and ascending terrain, front wheel lifts – basic and pedalling, straight line riding (introduction to riding on elevated obstacles). Well tuned bike with disc brakes (rentals available), riding gloves, helmet, arm and leg pads (rentals available), hydration pack / water, sunscreen, extra clothing, shoes with soft flat soles (eg. skate shoes). A full refund for the camp will be given 48 hours in advance. Cancellations within 48-24 hours will be subject to a charge of 30% of the fee. Cancellations within 24 hours will be subject to a charge of 100% of the fee.